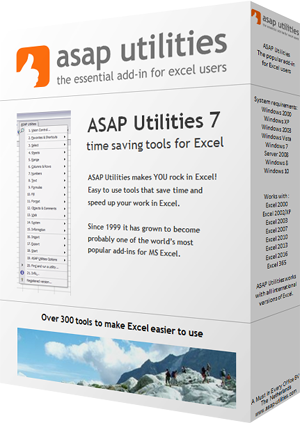 If you no longer wish to receive an email when a new version or an important update of ASAP Utilities is released, enter your email address below. You can see at the bottom of the newsletter to which email address the newsletter was sent. It is in the section "Subscription information". Please know that your personal information, including your name and e-mail address, will never be shared with other organizations. We respect your privacy.